Live Love Texas: Austin Texas Mom Blogger. Easy Recipes, Family Travel, Beauty, and Lifestyle. Austin Texas Mom Blogger: Easy Recipes, Family Travel, Beauty, and Lifestyle. Post may contain affiliate links. 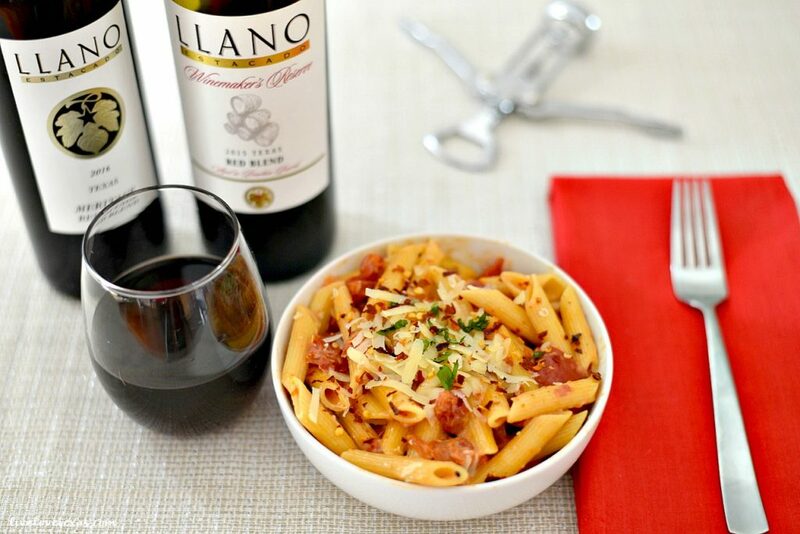 This Easy Penne with Spicy Vodka Tomato Cream Sauce Recipe was sponsored by Llano Estacado. I’m all about keeping things light and substituting veggies for actual pasta during the warm months. But when the weather turns colder (or even snows in Texas), real pasta is a staple for dinner. And not just on busy weeknights either. I’m talking holidays and for entertaining too. My mom never went all out for holiday dinners, but I do remember her pasta dishes for Christmas. Making an amazingly delicious sauce took little time and created a complete meal when served over pasta. 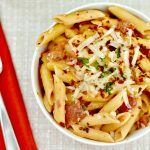 Inspired by those beloved pasta dishes of my childhood and my family’s love and willingness to eat anything covered with pasta, I created this easy penne with spicy vodka tomato cream sauce recipe. Now my husband and I are all about the spice on this one, but if you’re serving it to littles I would scale back the red pepper to 1 teaspoon instead of 1 tablespoon and then add more to the adult dishes after it has been plated. Like my preference for real pasta in the winter comes the change in my wine tastes as well. While there can always be an exception to the rule, I generally go with white wines during the warm months and reds when things cool off. I know what you’re thinking here. This is a penne with spicy vodka cream sauce recipe, why are you talking wine? Because even with the wine in the pasta, wine is always the best choice to accompany any pasta dish! So when I heard it posted that two of my Texas favorite companies for libations were partnering together, I was super excited and couldn’t believe it was actually happening. Llano Estacado, the largest, best-selling premium wine in Texas from Lubbock, used whiskey barrels from Garrison Brothers in Hye for the upcoming 2018 release of the 2015 Llano Estacado Winemaker’s Reserve Texas Red Blend. Y’all…this wine is amazing. I hate sweet wines and this is anything but. It’s unique, unexpected perfection. And if you can’t wait til 2018 to nab the new blend, I’m also a fan of pairing this easy penne with spicy vodka cream sauce recipe with the 2016 Llano Estacado Meritage Red Blend. Over medium heat, sauté garlic and Italian sausage in olive oil until sausage is cooked through. Add tomatoes, vodka, and red pepper flakes to mix. Simmer uncovered for approximately 10 minutes. Meanwhile, bring a large pot of salted water to boil over medium-high heat. Cook until al dente. Mix in the cream and half the parmesan and reduce the heat to low. Simmer until reduced by half. Stir penne into sauce and serve topped with remaining parmesan. From celebrating the holidays with a food and wine pairing to gifting wine to your friends to ringing in the new year, Llano wines are the perfect compliment! 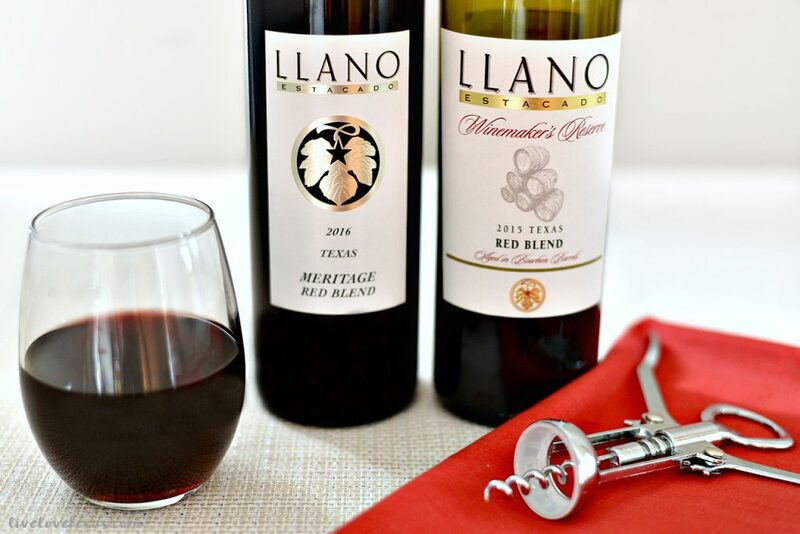 Llano wines are available to buy online, across Texas, and at select retailers nationwide. Learn more about Llano Estacado by visiting the brand’s website, following them on Twitter, or liking them on Facebook! 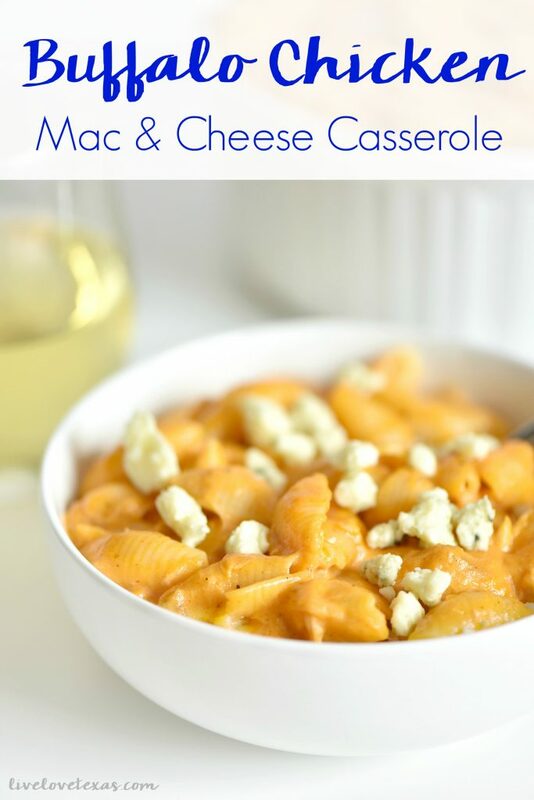 For more easy pasta dishes like this Penne with Spicy Vodka Tomato Cream Sauce Recipe, check out my Buffalo Chicken Mac & Cheese to mix things up with a classic comfort food! 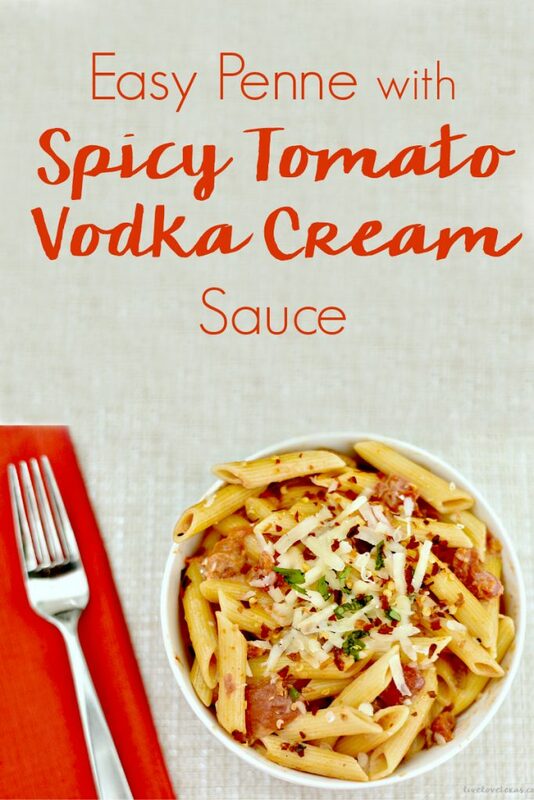 If you make this Easy Penne with Spicy Vodka Tomato Cream Sauce Recipe, tag me on Facebook, Twitter, or Instagram so I can reshare it! Kelly here - product of the 80s, lover of queso, former Air Force brat, football fan (Hook 'em Horns! ), dog lover, chicken farmer, wife, and girl mom living in Austin, Texas!